At The Tank Depot.com we take advantage of the low costs of selling our products online by passing the savings on to you! We will always provide you with quality service and quality products . 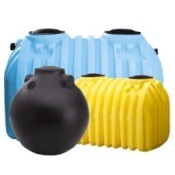 Our tanks are manufactured for us by the leading plastic tank manufacturers from all over the U.S.
We are constantly adding new products to our web site, and as always, our prices are unbeatable. Our web site is guaranteed to be secure to protect your privacy while shopping online. We hope you enjoy your Tank Depot shopping experience. If you have any questions, comments, or feedback please don't hesitate to contact us. NOTE: We "Give the customer what they want, fast delivery, quality tanks at unbeatable prices!" In order to accomplish that we cut down on unnecessary expenses, we do not print catalogs and we don't have a large sales staff. We of course pass all these savings on to you. Rest Assured though, we will provide you with great customer service, simply e-mail us and we will address any of your questions or concerns. If you have interest in joining the Tank Depot Team please email us. Orders can be cancelled at anytime prior to shipment for full credit. Customers cancelling orders after shipment are responsible for freight charges & restocking fees (if applicable) incurred by TankDepot.com on their behalf. Orders may be cancelled prior to shipment by submitting an order cancellation request here. Due to the nature of our business, Tank Depot needs to maintain a strict return policy. A return will only be accepted up to the duration and parameters of the manufacturer's warranty for exchange or repair if a product is found to have a manufacturing defect. The end user needs to acquire a Return Authorization from the customer service department at Tank Depot. The defective product then needs to be shipped in its original packaging to the location provided by the customer service department at Tank Depot. No return shipments will be accepted by Tank Depot, or by the manufacturer of the defective product, without the original packaging and Return Authorization. In some cases the sales department at Tank Depot may arrange an exchange with the manufacturer for an alternative product. Once it is received in satisfactory condition by the manufacturer, the original product will be refunded, minus a restocking fee up to 25%, and the end user will be billed for the replacement product. The original product must be returned in "As New" and “resellable” condition, in the original packaging and with a Return Authorization provided by the customer service department at Tank Depot. Any returned item that does not meet all three conditions will still be considered the property of the end user; and will be shipped back to the end user at the end user's expense. No refund will be provided for any product returned that does not meet all three conditions. Additionally, Tank Depot reserves the right to charge an additional 5% fee on all canceled orders, if the order has already been processed. Norwesco’s manufacturing policy does not allow for cancellations or returns on any tanks that have been customized in any way whether it has shipped or not. Tanks with special color variations may not be cancelled as well. 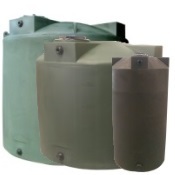 Blemished tanks once they ship may not be cancelled. Once a tank ships it may not be cancelled and returned. We apologize for the inconvenience. Please re-measure your dimensions before ordering. 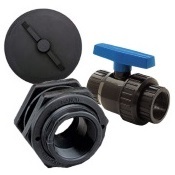 The manufacturer does not accept returns on any septic tank accessories. We apologize for the inconvenience. 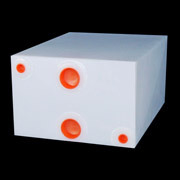 Ronco tanks are custom tanks and are manufactured when ordered. 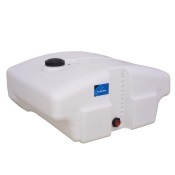 The manufacturer does not accept returns on any marine or RV tanks or cancellations on orders where the tank has already been manufactured (but not yet shipped). We apologize for the inconvenience. Please re-measure your dimensions before ordering. McClure's manufacturing policy does not allow for cancellations or returns once the cart(s) have been manufactured (even if not yet shipped). McClure carts are manufactured when ordered. We apologize for the inconvenience. Please re-measure your dimensions before ordering. If you see a lower advertised price from another site for the same item, we want to know about it. Bring it to our attention, and we'll gladly beat any competitor’s price. Our policy applies only to advertised prices. It does not apply to special promotions including rebates, free-with-purchase offers, or special financing. The price you wish us to match must be verifiable on the Internet or through a printed advertisement. The competitor's advertisement must be current. Total price comparison must include freight cost, & sales tax, if applicable. Requests for Total Price Guarantee may be submitted prior to purchase or up to 18 hours after order's entry. Unless otherwise agreed in writing, all shipments are F.O.B. Shipping Point. TankDepot.com will determine the point of origin of shipment, the method of transportation, and the routing of shipment. All freight charges are the sole responsibility of the purchaser. Purchasers requesting shipment by a different method will be billed for any additional charges incurred. TankDepot.com, when possible, will attempt to make shipments by the routing requested by the purchaser, but makes no guarantee. All added accessorial fees will be charged to the customer (examples: lift-gate, re-consignment, etc.). If your product is shipping to a residential address, a university campus, a military base, a farm, a construction site, or any other nonbusiness location, the freight companies assess a surcharge to your delivery charge. It is the consumer's responsibility to inform us prior to delivery if the location for delivered cannot accept a 53’ trailer delivery vehicle. Deliveries that cannot be made due to vehicle size or access restriction will be billed as delivered. If a delivery is possible with another vehicle, re-delivery will be made and an additional delivery fee will be charged. Someone must be present to accept and sign for the delivery or the freight company will have to return and may charge for additional delivery attempts. The receiver is responsible for unloading all merchandise. Trucking companies allow a limited amount of time to offload your product, because they normally have a daily route with multiple deliveries and pickups. If that time is exceeded, you will be assessed additional charges for waiting time. Shipping dates are approximate and are based on prompt receipt of all necessary information and approvals from the purchaser. TankDepot.com shall not be liable for failure to perform or for delay in performance due to fire, flood, strike, or other labor difficulty, acts of God, act of any governmental authority or of the purchaser, riot, embargo, car shortage, wrecks or delay in transportation, inability to obtain necessary labor, materials or manufacturing facilities from usual sources or due to any other cause beyond its reasonable control. In the event of delay in performance due to any such cause, the date of delivery or time of completion will be postponed by such length of time as may be reasonably necessary to compensate for the delay. 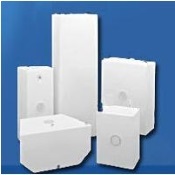 It is of utmost importance that receivers make note of any damage to deliveries. All orders are shipped from Tank Depot’s vendors only after they are inspected for accuracy and quality inspected to insure there is no damage. Title is passed to the carrier at time of pickup and it becomes their responsibility to safely handle the product to insure that it arrives in the same condition as it was in when it left the facility. When you receive your merchandise, make sure to inspect it carefully to insure it is in good, undamaged condition PRIOR TO SIGNING FOR IT. If you accept it and sign that you received it in good condition, the freight company is no longer responsible for any damages that you discover later. The act of signing for delivery is acceptance: (1) that your tank has arrived undamaged, (2) of ownership of the property (the shipment) from the shipping carrier to the receiver. The person who signs the Bill of Lading when tanks are delivered MUST note any damage on the Bill of Lading (Delivery Receipt). Make sure the delivery driver also signs that the product is damaged. Tanks may become soiled in transit. Dirty tanks DO NOT constitute damage and damage claims will be refused. Cosmetic and surface scuffs and scrapes can happen in transit. Surface scrapes will not impact the product's structural integrity or void your warranty, and do not constitute damage. Please take pictures, if possible, and contact Tank Depot immediately upon discovery for evaluation and proper resolution. Oftentimes, the damage is done to a part that can easily be replaced. If there is no indication of damage, trucking companies will deny claims for damage in transit. Tank Depot is not responsible for damage caused by freight carriers. Tank-Depot.com’s vendors take great care to ship tanks that are in excellent condition. Once they leave their sites, damage can occur while the tanks are in the hands of the trucking company. If there is no notation of damage on the signed Bill of Lading, trucking companies often deny claims of damage. It is their right to do so. It is important that whoever receives the tanks be trained to look for damage and note it on the Bill of Lading (Delivery Receipt.) Even if there is no designated space for such a notation, it must be written on the Bill of Lading (Delivery Receipt). It is the purchaser’s responsibility to notify Tank Depot of all damages within 5 business days from delivery. Claims for damage or shortage or any other reason must be made within 30 days from the date invoiced and must be noted on the Bill of Lading (Delivery Receipt.) 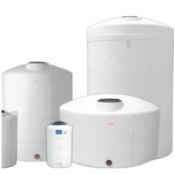 We value our customers and will do everything to get a replacement tank out at no extra charge, as long as the damage is noted at the time of delivery. We will NOT accept responsibility for damage done to the tank if the receiver of the tank does not note damage. At this point you will accept ALL responsibility for the tank and can file a claim directly with the carrier for the damage. We will be happy to assist you with this process. Prices and availability of products and services are subject to change without notice. Errors will be corrected where discovered, and Tank Depot reserves the right to revoke any stated offer and to correct any errors, inaccuracies or omissions including after an order has been submitted and whether or not the order has been confirmed and your credit card charged. If your credit card has already been charged for the purchase and your order is cancelled, Tank Depot will issue a credit to your credit card account in the amount of the charge.